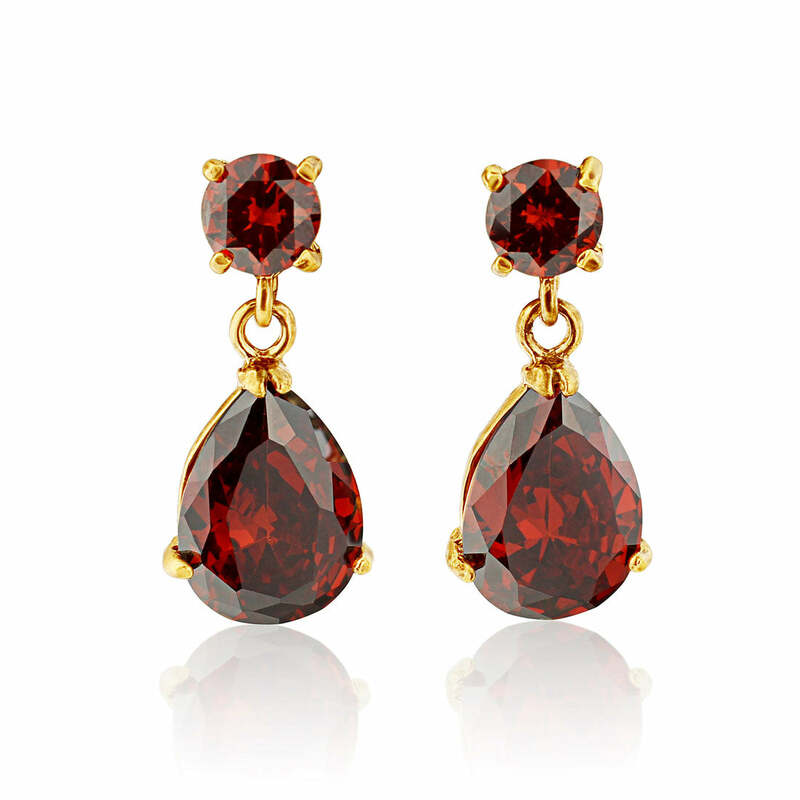 Rich and radiant, our ruby jewel tone drop earrings will delight fans of vintage accessories. If you’re looking for bold colour combined with dramatic design, our stunning ruby drop earrings might well be the perfect accessory for you. These truly gorgeous earrings with antique gold accents and glinting, rich deep red stones strike a confident, sophisticated note and we love them. Ruby Rebel will work with any outfit you care to wear them with. Special enough to bring an extra touch of red carpet glamour to a special occasion and refined enough to wear every day, they’re brilliantly balanced and will be worn time after time. And, if you’re looking for luxurious, striking red earrings for bridesmaids then really, you need look no further. Ruby Rebel are the perfect choice if you’d like to bring a decadent touch or two to your bold red wedding theme. Opulent ruby and luxe gold is, on our opinion, a match made in heaven.